Units 506-507. 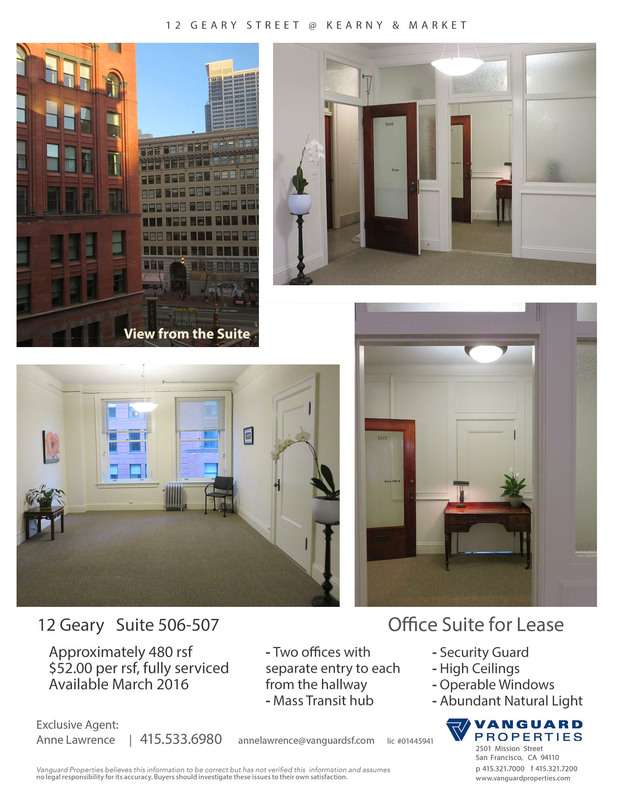 Approximately 480 square feet of beautiful office space with high ceilings in the Union Square area. Two offices with separate entry to each from main hallway. This space has operable windows that let in abundant natural light. Security guard on site.